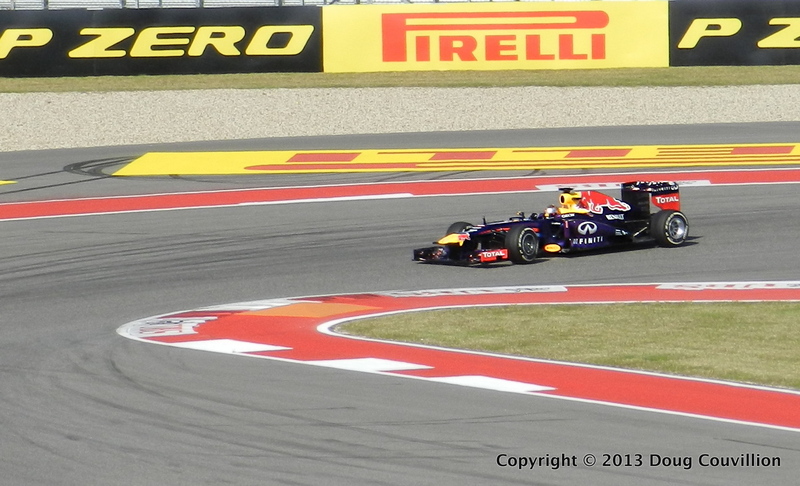 One of the Red Bull drivers brakes coming into turn 15 at the Formula 1 race in Austin, Texas. I nearly stepped on this small black and red spider before I noticed it hanging out on a lichen covered rock. 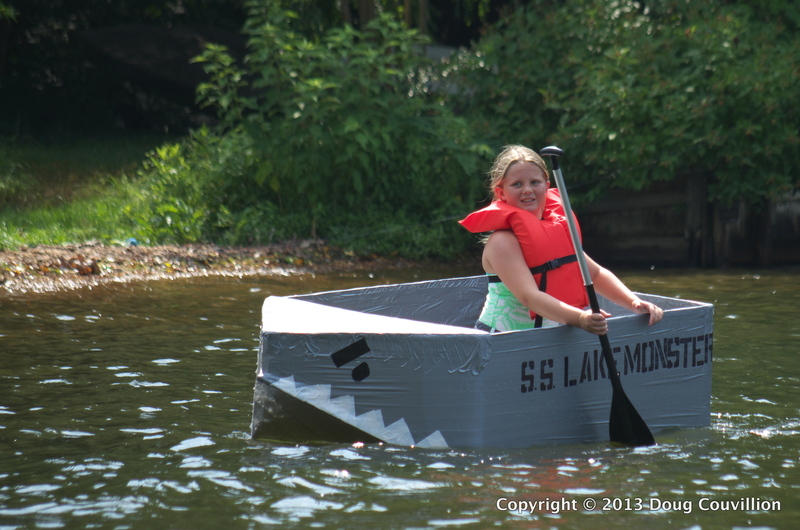 Normally I keep to one photo per post but I decided to make an exception for the 2013 Lake Of The Woods Cardboard Regatta. 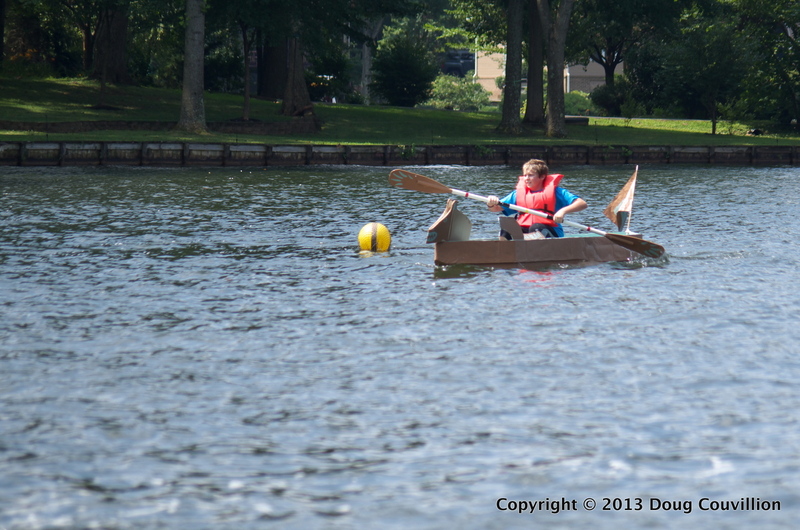 Several weeks ago my nephew participated in the cardboard boat regatta. The rules are simple enough. 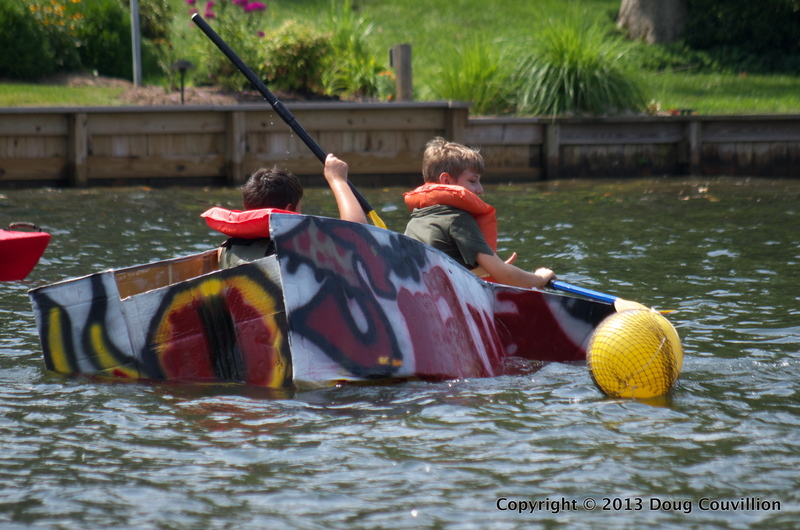 Each boat must be homemade and can only be made from cardboard, tape and paint. 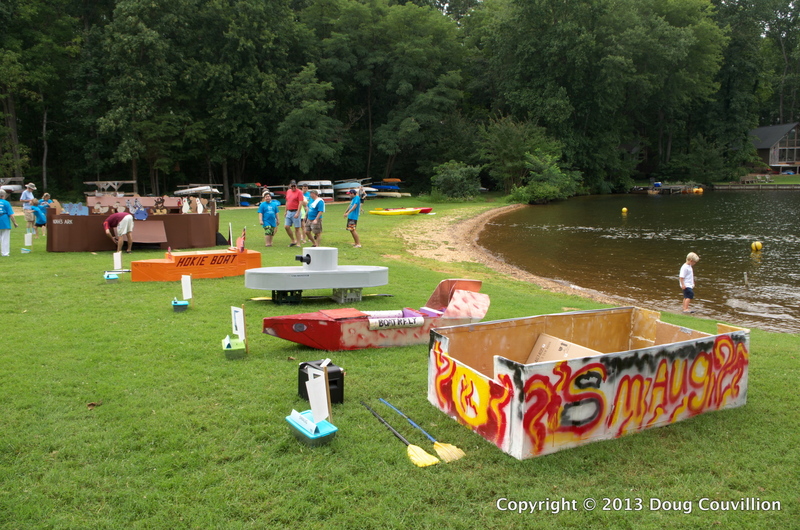 The boats are judged in several categories and then races are held by age group. 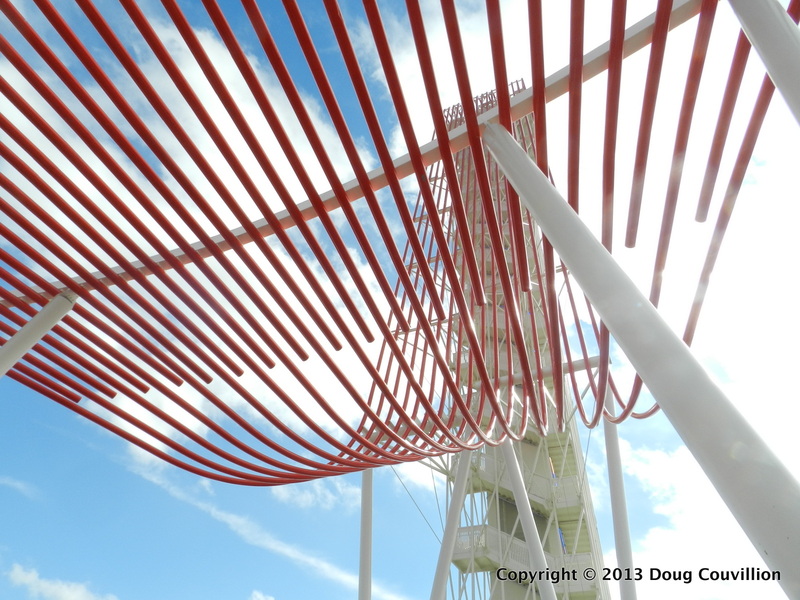 In the below photo, taken before the races, you can get a sense of the various designs. They ranged from very simple to rather complex. 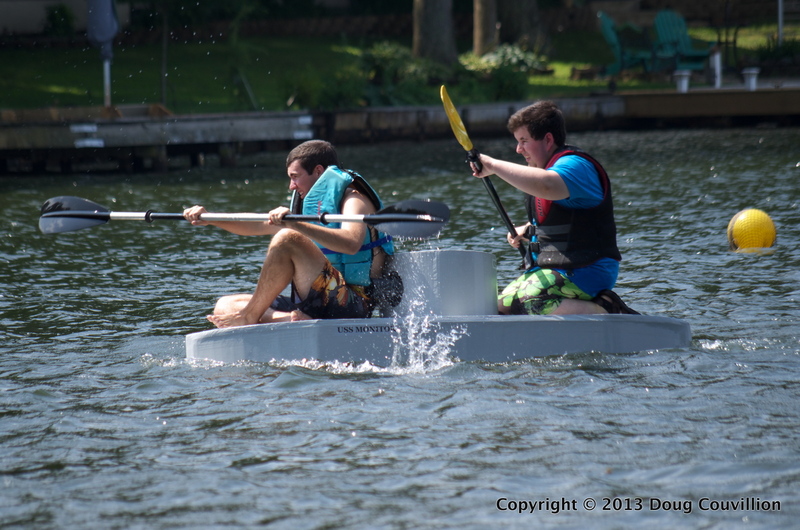 In the youngest category the S.S. Lake Monster proved to be watertight but was too wide for this young rower to maneuver. She maintained a good attitude and eventually a swimmer pushed the boat the length of the course. My nephew rowed his boat, Sea Bear, to first place in his age group. Needless to say we were all very proud. These boys, dressed in elvish costumes, piloted Smaug, which was not much more than a large, painted box. Unfortunately about 20 yards from shore the structural integrity of Smaug was compromised and it collapsed and sank. 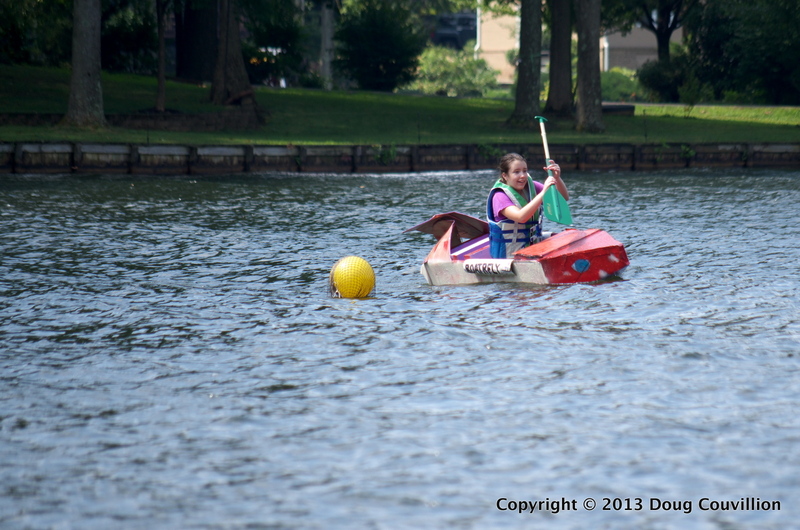 This young lady successfully completed the course in her boat, Boatrfly. 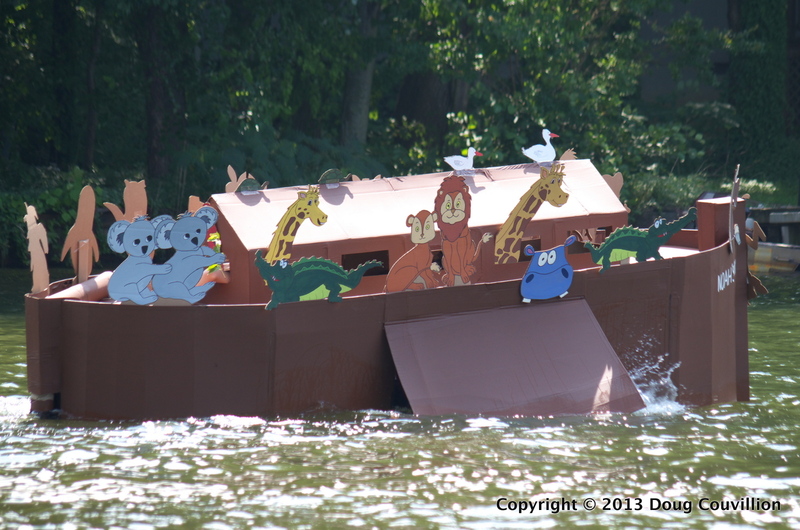 Noah’s Ark had to be the most elaborately designed boat in the regatta. It stood about 4′ high and was about 7′ or 8′ long. It did well in the pre-race judging, getting lots of points for style and originality but proved to be less-than-seaworthy. Here you can see it beginning to take on water. Sadly Noah’s Ark went under before finishing the course. In the adult category the U.S.S. Monitor was an interesting entrant. The boat capsized and lost it’s turret mid-way through the course but the paddlers righted it and managed to finish the race. 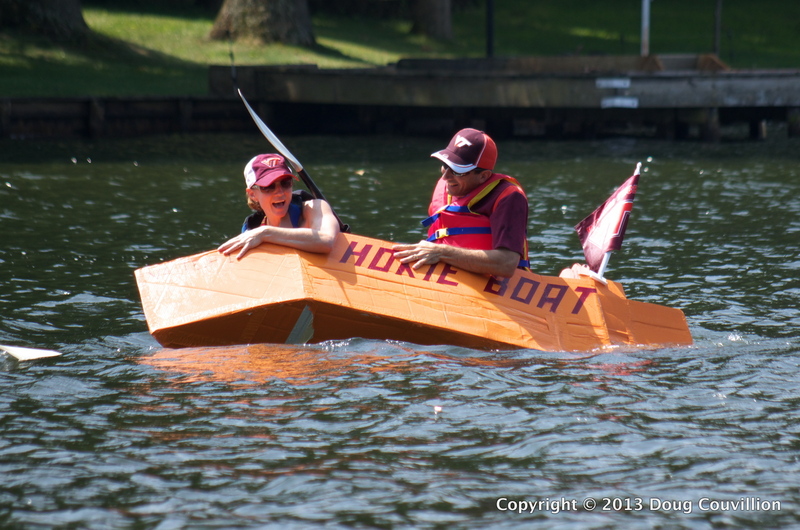 Hokie Boat started off strong. It was way ahead of the competition until it began listing and sank. 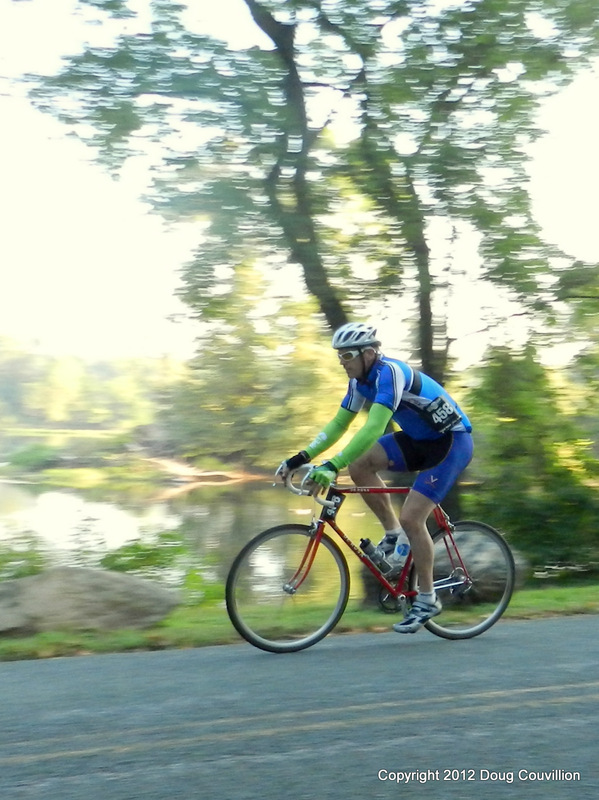 I photographed this cyclist on Riverside Drive during the Tour de Richmond in October. Positioned across the road with a view of the river, I panned the camera with the passing cyclist to capture this image. 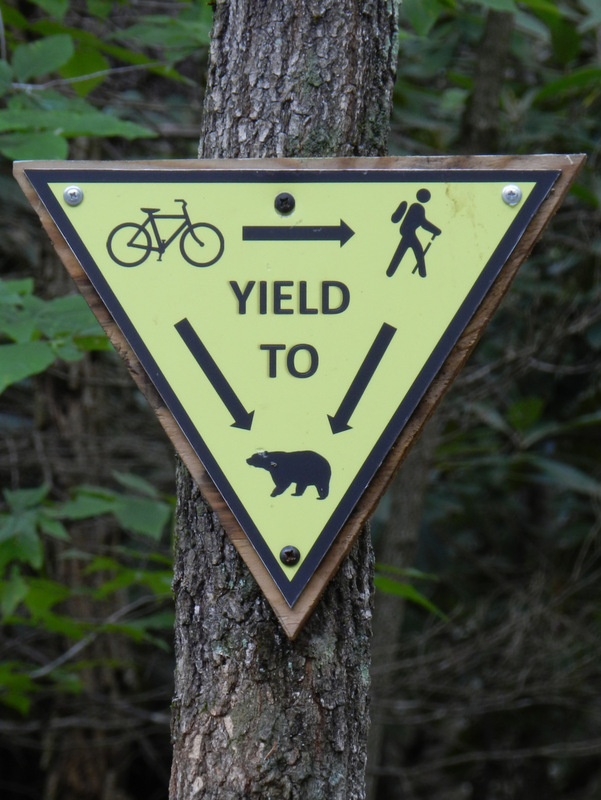 I came across several of these signs when biking a trail in the mountains of Southwest Virginia. I suppose one must know his place when out in the woods. I wonder, if bears could read would they be instructed to yield to anybody? 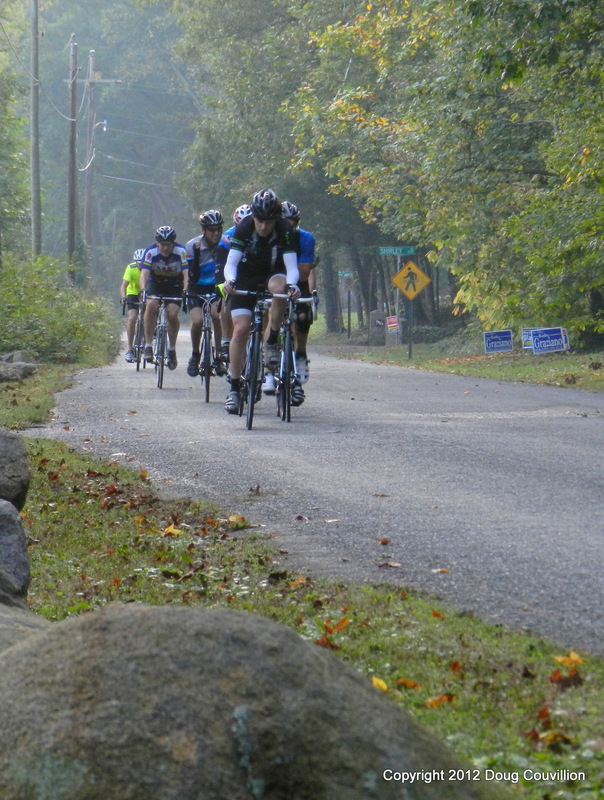 Cyclists ride in a pace line to save energy. The first time I drafted another cyclist it was immediately obvious why birds fly in formation. These riders are about 15 miles into a century ride in Richmond, Virginia. With 85 miles remaining they are, no doubt, attempting to retain as much of their energy as possible.